In 2016, the United Nations General Assembly declared 2019 the International Year of Indigenous Languages, noting that 40 per cent of the estimated 6,700 languages spoken around the world were in danger of disappearing. 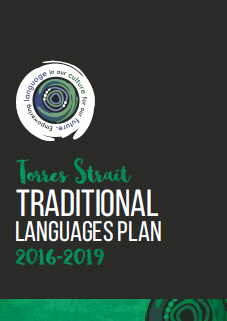 Queensland has more than 100 Aboriginal and Torres Strait Islander languages, many of which are now considered endangered, and the Queensland Government is working with representatives of the Queensland Indigenous Languages Committee to progress a dedicated Aboriginal and Torres Strait islander language policy. The policy is to be in place in the first half of this year. Many of our schools work with language teachers and community members to energise and revitalise community languages. The Department of Education indicates that in 2018 approximately 22 Indigenous languages were being taught in more than 50 Queensland state schools. Schools from Cape York to Western Queensland and into Logan City are teaching languages that are endangered. WHO ARE THE YUGAMBEH LANGUAGE PEOPLE? There are more than 250 Australian Indigenous languages. Less than 20 of these languages are strong, and even those are endangered: the others have been destroyed, live in the memories of the elderly, or are being revived by their communities. This Virtual Library web catalogue https://www.dnathan.com/VL/index.php was founded in January 1996. It currently has annotated links to 515 resources for over 150 languages. About 37% of these resources are produced, published by, or directly represent the voices of Indigenous people. Joy Bonner of Hervey Bay understands the importance of remembering. Joy is doing everything she can to make sure her traditional language, Butchulla, is not forgotten. Greetings in Butchulla, sharing conversations with children and rediscovering songs from the past, are all helping to keep the language alive. In this video Joy shares a lullaby her mother would sing to her as a child, Yunma-n Walabai, Walbai Yunma-n. The second Torres Strait Language Symposium was held at Gab Titui Cultural Centre, Thursday Island from the 2nd - 3rd May 2017. This resulted in the development of the Traditional Languages Plan.